RECEIVE GREEN FUNDS AND HELP SAVE OUR PLANET! Our environment is under attack and we are the major culprit? That’s right, we are all guilty. We are polluting our planet at record levels when we have choices we can make today to ease this pain. 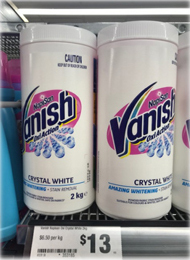 Toxic chemicals are being used in everyday products at alarming levels. 2) The everyday financial struggles of so many people across the world. We understand that when your family is struggling financially, it may cost more to do our bit for the environment. Imagine an opportunity for significant financial change for you and your family while at the same time addressing the very important issues of toxic pollution. 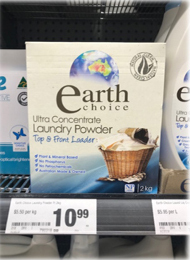 Imagine if the choices you could make in product selection was in fact cheaper than your current choice? We believe our program is so good that you will find is hard not to share our GREEN VISION with others, encouraging then to become green because it is no longer an expensive choice. A life-changing opportunity that is NOT based on a particular skill, talent, education or ability. Simply the desire to help others and therefore help yourself, your family and loved ones. The Coming Together of two Worldwide Community-Minded Phenomena; PAY IT FORWARD and CROWDFUNDING combined with CUTTING EDGE GREEN PRODUCTS to help us all save our planet. Hope4All has adapted the Crowd Funding and Pay iy Forward concepts into an exciting and more powerful concept we call Green Funding. Green Funding can assist you and your family in helping your personal causes and those close to you. Green Funding can assist with a car or mortgage payment, a deposit on a house, medical bills, school/university fees, a holiday or anything that eases the pressure or brings about a difference in the quality of your life. Green Funding can help you, help those less fortunate than you or me; causes or charities that are close to you and your families heart! Hope4All is a community that that thrives on people helping people. By growing your community, you help in growing Green Rewards that come back to you from your Community. It all start with you; and together we can help achieve your goals. Remember that as a T-E-A-M Together Everyone Achieves More!! 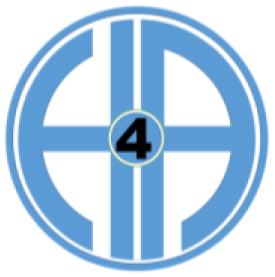 The three above now make..
H4ALL is set out to help you join the Laundry Revolution. Our signature 40 count pack of All-In-One Laundry Sheets (1-2 month supply) provides you a complete cycle of laundry in a single easy-to-use sheet. 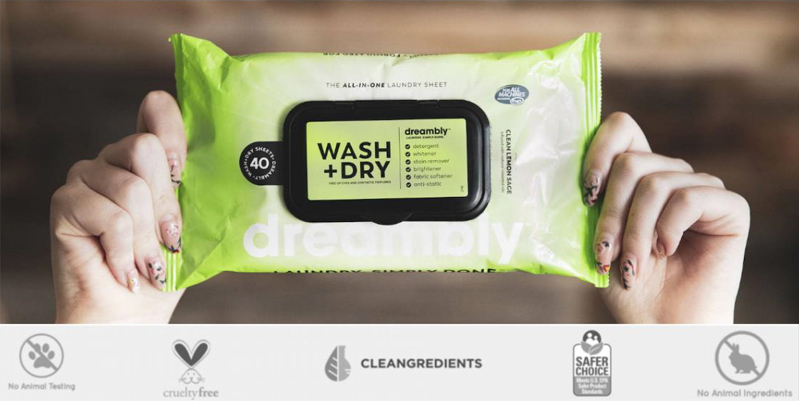 Our Laundry Sheet Ingredients: Purified water, renewable sourced surfactants (coconut oil), organic stabilizers, natural sequestering agents, natural enzymes, essential oils for fragrance, and our patented, FDA-approved natural nano technology that is certified 100% biodegradable within 10 days. Simply grab a H4All Wash+Dry Sheet, throw it in the wash, and when cycle is complete, transfer it into the dryer with your clothes. It’s as simple as that! 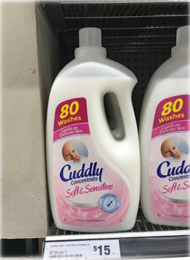 The product is carefully formulated with the precise amount of our patented liquid to replace everything you need for the perfect load of laundry. Natural ingredients that won’t damage your clothes, irritate your skin or cause harm to your loved ones and pets. 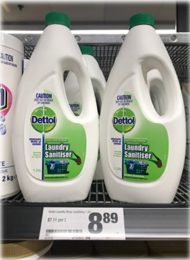 Shopping comparison on 2019 in Melbourne AUSTRALIA. Hope 4 All is currently in Pre-launch. The information provided below is POST LAUNCH plans for H4A. Currently we are only accepting Pre-Launch Registrations of Interest. To participate in our community costs$USD36.00. This is a ONCE OFF FEE and there are no MONTHLY subscription fees. *Of course, there are terms and conditions that need to be met. In the meantime, you can register for FREE and start sharing this amazing GREEN REWARDS program with all of your friends. And YES, if at the official launch you no longer wish to participate, you are not bound by any costs! With our range of “Green” Products, we have created a simple, unique GREEN REWARDS program rewarding those who encourage others to become GREEN. This is a referral based GREEN REWARDS Program. As you become active in our GREEN MOVEMENT, you will be placed into a small and yet powerful “Community Structure”. To maximize your GREEN FUNDING you are required to remain Active. Purchase your SEED Package for $US36.00 and refer two active (who remain active) members. You are INACTIVE if you refer less than two active members, this includes members you have referred who were once ACTIVE but are now INACTIVE. If you are ACTIVE and members falls into your community you will receive GREEN FUINDING. Green Funds to you will be relevant to your TEIR STATUS. 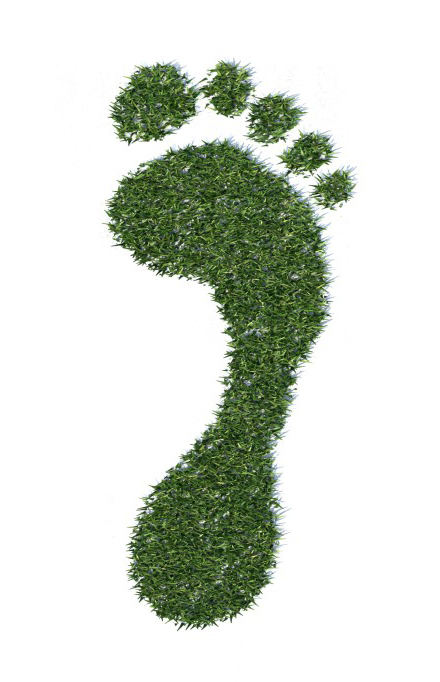 Within our Green Community there are 5 different “Green” platforms to choose from. You can start at SEED and progress through to further platforms, paid through your GREEN FUNDS. * Next Tier participation can be achieved from GREEN FUNDS received from previous Tier CROWD FUNDS. At H.O.P.E. 4ALL we understand that everyone’s financial situation is different, and we cater to that difference by making available five (5) different Green Platforms from which you can select your level of participation. You can only participate by invitation from another active member. Participation for these PLATFORMS is collected from GREEN FUNDS from your previous platform. EACH PLATFORM INCLUDES GREEN FUNDS TO BE PAID FORWARD & YOUR PRODUCT ALLOCATION. It is important to note that you can simply start at the SEED platform and leverage your way through to the next platform without ever needing to fund any other platform other than your initial Seed Platform. CROWD FUND PAYMENTS REFLECT YOUR PLATFORM PARTICIPATION. All Platforms are in US$ and can be purchased from a variety of payment methods. The platform you select will determine the amount of “Green Products” you will receive. The Platform you select will determine the GREEN FUNDS to be Paid Forward (PIF) to 5 members plus Admin. This will also determine the GREEN FUNDS you are eligible to receive. If you are SEED you can only receive SEED PAYMENTS from your community. If you are a SPROUT you can receive SPROUT and SEED Green Rewards. You will receive a minimum of 35% – 50% of the PLATFORM purchase price in “Green” products, the balance of the platform will be used as Pay it Forward (PIF) as shown in table above. At the time of LAUNCH, and your platform purchase, all members will then begin to Pay it Forward (PIF) to 5 members and Admin as per the process of our system. Our automated system will deliver these Crowd Funds in the form of Green Funds to our Community Members. Margaret is referred to H4A and decides to participate by starting at the SPROUT Platform. Margaret pays $USD132.00 to participate. Margaret will receive $66.00 of H4A Green Products. Postage included. Margaret will PIF 6 payments to the H4A Community. 5 Payments of $US11.00 each will go to 5 members of the Community and 1 payment to H4A Admin. Margaret can receive a max of $USD11.00 value CROWD FUNDS from up to 62 members as her Community fills. Margaret can upgrade by inviting other members to participate and qualifying her way to the next Platform. THE SYSTEM AUTOMATES YOUR PIFs by FORWARDING THEM TO YOUR PARTICIPATING AND QUALIFIED MEMBERS. The Registration process will direct you to distribute your PIFs $USD66.00 in total and in $USD11 .00 lots to to 5 different members in our Community. The last $USD11.00 will be paid forward to HOPE4ALL as an admin/ processing fee. The Platform you select and in this example will determine the “Crowd Funding” you will receive and in this case 62 x $11 = $682 in HOPE coins. Your purchase price of $132 for the Sprout Platform will potentially GREEN FUND YOU with up to $USD682.00 when your Community of 62 members is filled. Every Platform purchase can be funded from the “Crowd Funding” amount received from the previous platform. Your initial Platform purchase is the only time you will have an “out of pocket” expense, all other platforms can be purchased from the “Green Funding” generated form the platform that you are involved in. You are able to upgrade at any time to a higher platform manually or you can naturally progress to the next PLATFORM through leverage. Maximum Green. By selecting the Maximum Green Button on your dashboard you are directing the system to leverage you up to the next higher platform as soon as you have acquired enough HOPE Tokens* from your current platform participation. * Hope Tokens are explained further in OUR CURRENCY. 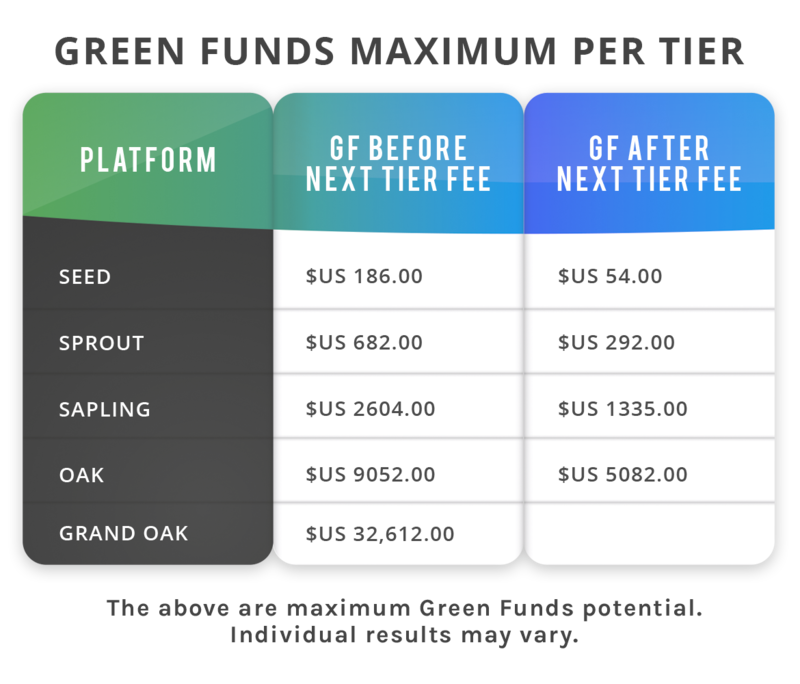 Table below show the potential Green Funds you can raise at each of our Tiers. Important to note that you can start at Tier 1 (seed) and progress through to other Tiers without any further CASH injections. Hope4All’s product range is unique and exclusive to our unique program. This is what makes our program a truly incredible GREEN PROGRAM. 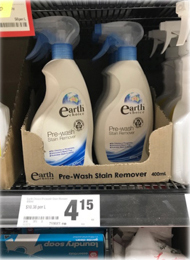 Not only are we all doing our part for the environment, our families and our communities, but we are also assisting you to save on your household environmental products usage. Our methods are unique and challenge our current environmental behaviour and its impact. Our goal is to improve that impact, save you money and reward you in promoting others to do the same. So how do we compare? Well here is a little about our product and how it compares to what many of us are currently doing. COMPARE OUR PRODUCTS WITH COMPARABLE LEADING BRANDS. CAN WE SAVE YOU MONEY? HOPE4All has a complete 6 in 1 laundry washing product that is easy to use. Portion Control: Each wash is regulated with a fixed volume of product. We are all guilty of over-using leading brands in the hope of achievement a better result. Just this benefit alone will save you money! Natural Ingredients: Ingredients used are naturally sourced and have a significantly reduced impact on our planet. water. surfactants from renewable resources (coconut oil). organic stabilizers, natural sequestering agents, natural enzymes, essential oils for fragrance, and our patented, FDA approved natural nanotechnology that is certified 100% biodegradable within 10 days. All our products are and will be UNIQUE, HEALTHY, EASY TO USE and SAVE YOU MONEY! As part of our story of HOPE, we will be launching HOPE crypto token that will be used as our internal currency. 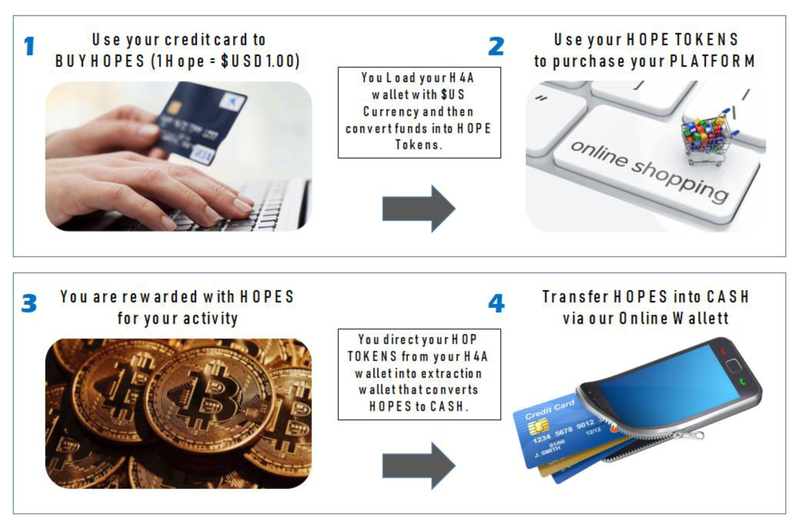 HOPE Tokens will eventually become a fully operation Crypto Currency, however details about this will be released in relevant time. The important thing to note is that we believe it will be very beneficial for everyone to have and give a little HOPE! The goal for everyone in the Pre-Launch period should be to fill their 2, 4, 8, 16, 32 Community. Familiarize yourself with this Pre-Launch site and our launch date. Make sure your members understand there IS NO MONEY DOWN at this stage and it is a FREE REGISTRATION. Connect with our FACEBOOK and INSTAGRAM Pages. Let your members know what your GOALS are with your GREEN FUNDS. You might have a cause that they too may want to support you in. Refer as many people as you can to your community but more importantly let them know your WHY in participating. Use the GREEN Products at home and document your experiences. Become a by-product of your GREEN products and keep learning why they are so important for the environment and your household. Participation at the PRE-LAUNCH stage is FREE as it is the referral building stage of the program. There are no costs and no rewards at this time until official launch. There may be some offers available exclusive to pre-launch participants however they will be products offered so members can try out the products that will be offered. At launch, GREEN REWARDS will be generated and Paid Forward as they are processed by participants and the system. Participation is voluntary and by referral only. CHECK YOUR EMAIL – Once you have registered check your email for your WELCOME EMAIL. You will need to CONFIRM YOUR EMAIL This email will house important referring information that you may want to keep in a safe place. NOTE: Your referrer will also receive an email that you have voluntarily decided to participate at this pre-launch stage. REFER OTHERS – Shout from the roof tops! The quicker you refer others the quicker you will help yourself and other in achieving green rewards and completing your 62 members into your Community. There is no time frame where you need to achieve milestones, however it goes without saying that the more active members you refer the bigger the GREEN REWARDS for you and your cause. This however is the most import process of all – HAVE FUN DOING THIS! Individually, we are one drop, Together, we are an ocean! Your Registration has been successfully done. You will get your Account credential detail shortly by mail.